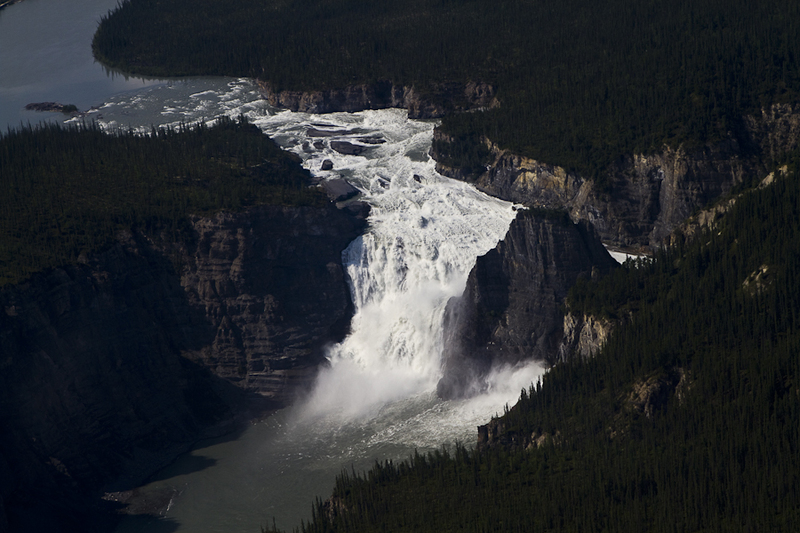 Virginia Falls :- Virginia Falls is the native Dene people's name for the falls meaning 'big water'. The river goes from a smooth surface where float planes can easily land to a 297ft (90m) drop, over twice the size of Niagara Falls. It's one of the most impressive displays of power I have ever seen. 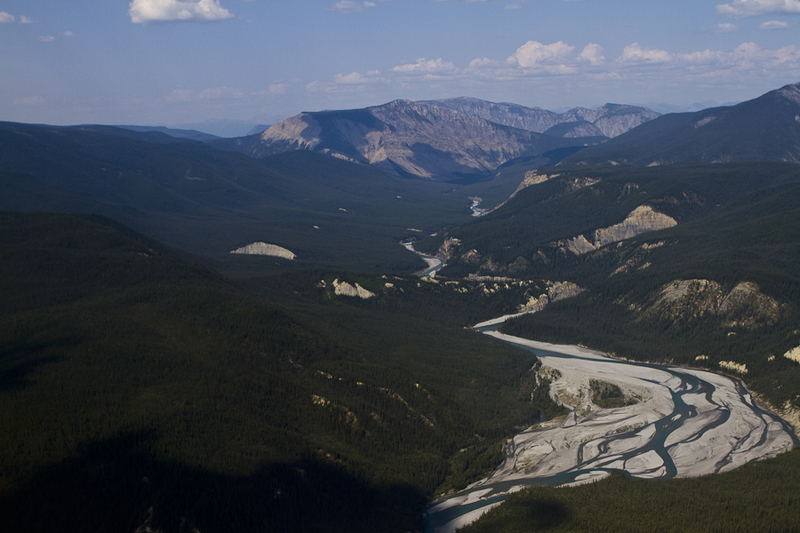 Clearwater Creek :- The South Nahanni is full of mystery and legends. My particular favorite was the story of how the Naha Dehe people who once lived in this mountainous region, and whom the park is named for, were driven south by the more populous Dene tribe for stealing too many of their women. 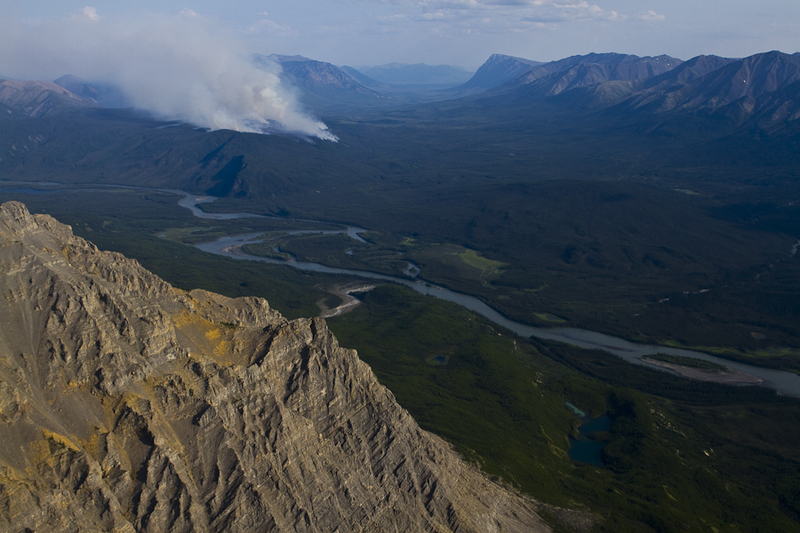 Fire above the South Nahanni :- A forest fire burns on the horizon above the Nahanni River. Fires are an expected and important part of any ecosystem. The park staff keeps an eye on them with help from local pilots but they are left alone. 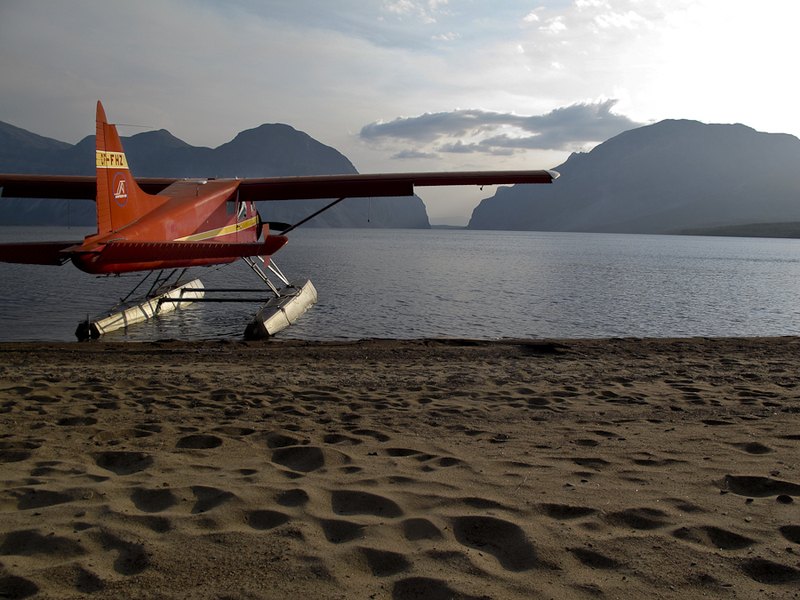 Sunset at Little Doctor Lake :- Our float plane, a 1948 Beaver, on the beach at Little Doctor Lake as we all take in the sunset.